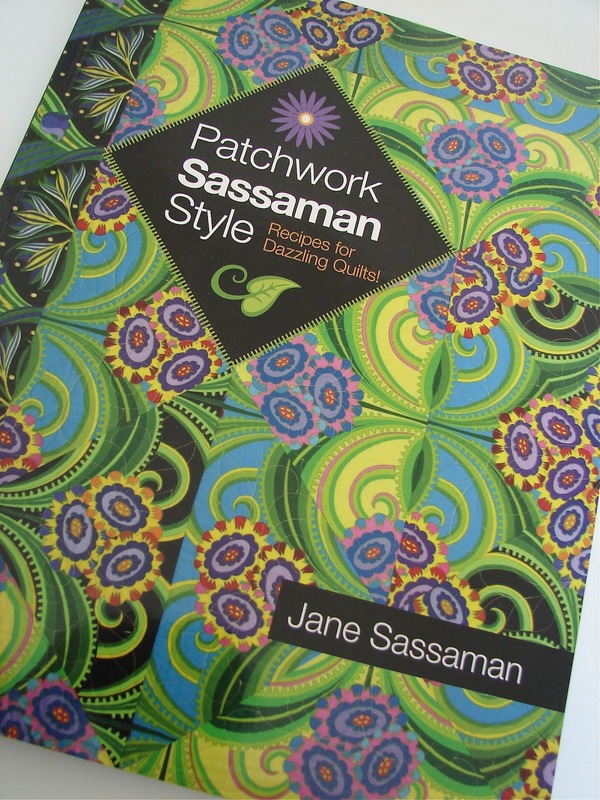 I was pretty stoked when I was asked to be part of Jane Sassaman's tour for her new book, "Patchwork Sassaman Style". When the book arrived at the house the first thing I did was page through it and I have to admit I was mesmerized. I kept looking at the pictures wondering how did she do that? After reading the book, I realized, that is the magic of Jane Sassaman. Jane writes about her "love affair with fabric" and her fascination with what she refers to as "personality prints". Jane urges quilters to listen to their fabric and do something special with those big, bold, beautiful prints that fill quilt shop shelves and that a lot of us buy, but have trouble using. 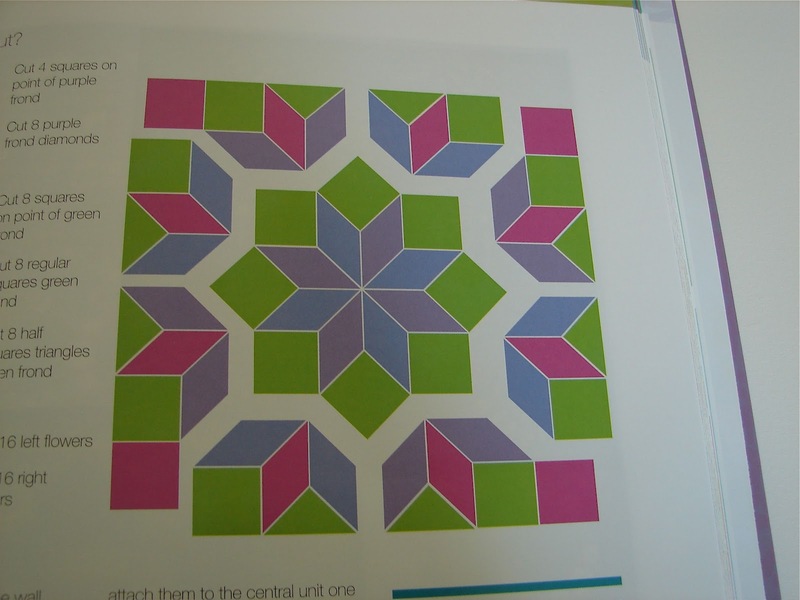 The designs in Jane's book are grounded in simple, traditional piecing, but because of the way Jane teaches us to look at and use fabric, the quilts transform from simple to magical. It was hard for me to believe that the piecing shown turns into this with Jane's use of the fabric. And the same pattern into these. Simply stunning! While the subtitle of the book says, "Recipes for Dazzling Quilts", the book is more than that. Jane indicates that a recipe is your guide. There is plenty of room for flexibility and creative decision making in constructing quilts like these. If you'd like to be introduced to the magic of Jane Sassaman, leave a comment and I'll choose a winner on Friday! Be sure to check out the rest of the tour here! Comments are now closed! Thanks for entering. Winner will be announced shortly! Those are BEAUTIFUL quilts! Thank you for the chance to win. I too would like to know how she does it. Big prints have always been used in borders for me and I would love to explore their use further. Thank you for the chance to win this great book. Jane's fabrics are always so interesting and when you can actually see how she incorporates them into "traditional" piecing.... it's pretty amazing. Looks like a great book. I love Jane's "personality prints" and would enjoy a copy of her book. Wow! I would love to learn how to see fabrics the way she does. Thanks for the chance to win this book. The quilts are gorgeous. They remind me of the kaleidoscope technique for using bold fabrics. Lovely!! Wow - amazing quilts. I'd love to learn a few new ways to use those big, bold prints. Thanks for the chance to win! Totally inspired by this glimpse at Jane's book . . . I would love to see more! Beautiful. I have never heard of her before. Thanks!! Jane taught at our guild several years ago, and I was totally wowed by her work. I'd love to put her new book to use. oh yes, please! those pictures are gorgeous! Wow - that so incredible, I'd love to win this. I have Jane vintage fabric on a special shelf... have loved her fabs for years.... would also love to have this book...count me in, please. The more pictures I see from the book, the more I want it. So inspiring. Love seeing all these new blogs too. I love Jane's artistic sensibility. Can't wait to see the book! I can hardly wait to see this book! Thanks for highlighting those intriguing pages. Jane's quilts and fabrics are always wonderful. They remind me of the paintings of Henri Rousseau - mysterious tropical jungles. I'm intrigued by the approach this book takes to using those big prints. Thanks for making me aware of it and for this chance to win a copy. wow... those are absolutely amazing. what a new way to look at fabric! Thanks for showing pages in the book! They are magnificent. I hope I can win it. Wow those look amazing! I'd love to give one of those patterns a shot. Those are gorgeous quilts! Thank you for the opportunity! Aren't the quilts in this book gorgeous? Thanks for the chance to win! I've got to have this book. I have always loved the fabric, now I'll know how to use it to make an amazing qilt. Oh please count me in! I just love her style and would so much love to win a copy of her book! How inspiring! 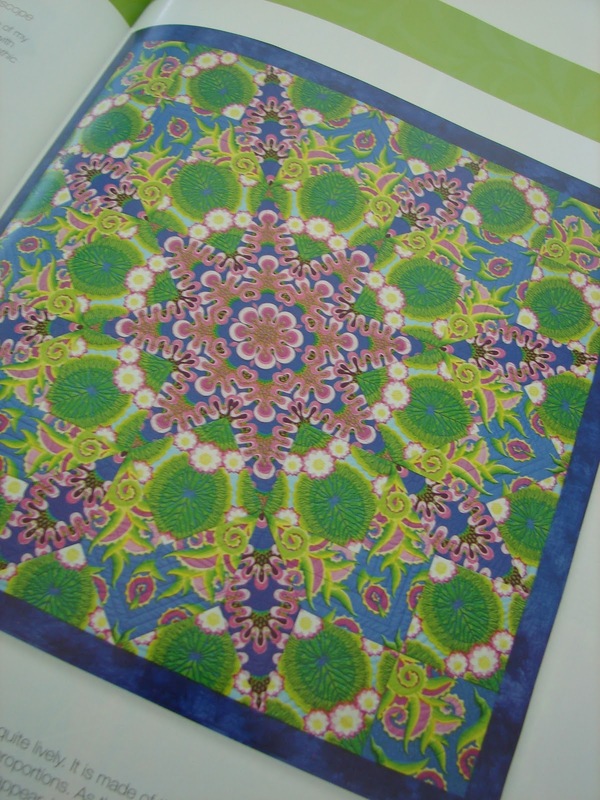 Amazing designs ~ the last 3 quilts look like mandalas ~ really beautiful! Thanks for the chance to own this lovely book! Ooh, that book looks interesting! This book looks inspirational!! What fun. Hope this is my lucky day. I can believe those blocks were pieced! There is so much that I can learn from this book! I need this book! I have some fabrics that could really use her techniques. Her quilts are so beautiful. I'd love to win a copy. What fabulous color and fabric!! Mesmerizing... a good description of Jane's quilts and fabrics! Thanks for the opportunity to win a copy of her new book. I too love to use big bold color. I would love to win this book. Jane's artistry is amazing! I love big, bold prints and have really only found 1 pattern lately that helps showcase the "big" - would love this book! Thanks for the chance to win a copy. I am amazed! Each quilt looks like a bold beautiful print in itself. It is crazy that it is pieced. I would love to win Jane's book, but if I don't, I will have to grab up a copy this weekend. Totally amazing quilts! Thanks for the chance to own the book! Oh, so beautiful and inspiring! Wootie Woot! I love Jane's fabrics so I know I would love her book. I love her fabric, and its sitting on my shelf because I haven't had the nerve to cut into it. this book may just be the ticket! thanks! Wow. Looks like a fun and interesting book! I'd love a copy. Never would have guessed that traditional looking block would turn onto that. I'd love to see the rest of the book. Hopefully we can have her come to a guild meeting sometime. Please enter me in the drawing - I've never seen quilts do this before!! Love the patterns & boy do I have some big prints to use!! I'm a big fan of fussy cutting, and boy does this book show that technique off in an amazing way. Thanks for sharing with one of us with a giveaway, but most of all for bringing the book to our attention. Can't wait to get my hands on it. 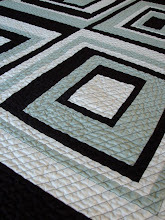 I have several of Jane's fabrics and have always been fascinated by the stunning quilt she made. I can't wait to get my hands on this book and see if I can follow this recipe for magic! I love using Jane's fabrics and these designs are wonderful. Fascinating! 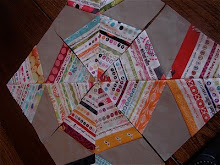 Even when I see how she does it I find myself entranced by the design/finished block! Love the fact she uses traditional piecing to achieve such a beautiful end! Those blocks are AMAZING. I think I would love this book! These are amazing, like fabric Kaleidoscopes, which I love looking through! Wow, what beautiful and stunning quilts. Thanks for a sneek peek inside a great book. Irresistible!! and Amazing!! Thanks for the chance, I hope I can win! Would love to win one of Jane's new book. Love visiting all of the new-to-me blogs. Thanks. Wow! That's simply fabulous and I'd love to have this in my library! Thanks for the chance to win! I've been following Jane's work for years and had been wondering what she'd been up to - those are so cool! Thanks for the chance to win! Thank you for this opportunity, looks like an incredible book!!! I have not heard of Jane, but I need to tell you WOW...They look like the kaleidsocope I look at when I was a kid...Can't wait to see the book. Thanks for the chance to win....Love your blog also and book. Oh, my! I need this book..... I've got a nice little stash of large prints that would be great using Jane's guidance. those are too cool! would love to get my hands on this book! stunning! I love when a designer uses the fabric as the main point of the design...and I would love to learn her "tricks" of the trade! Thanks for the opportunity to win a copy of the book! Wow! I had to really study the pictures before I realized they are all made with a single fabric. Amazing! Beautiful designs! Thanks for the contest!! This book looks gorgeous! Thanks for opportunity to win it! What a beautiful book. Some of the quilts I've seen are unreal. 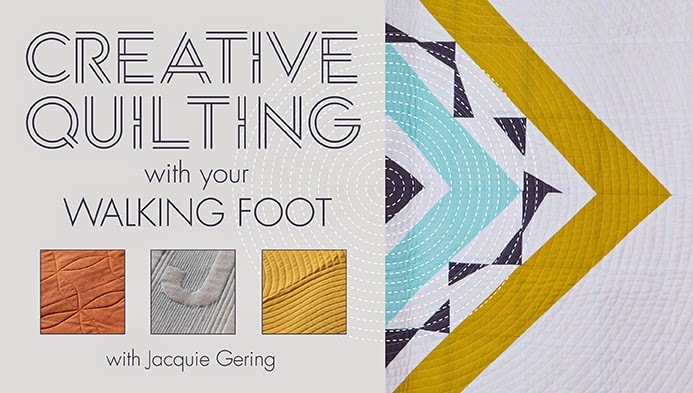 This book would stretch my quilting into the art realm. It's beautiful! Thanks for the giveaway opportunity. I love Jane's quilts and her fabrics. I was lucky enough to take a class from her in 1993 and I'd love to own the book. What beautiful fabrics and patterns! I love Jane's fabrics and have purchased several but have not put them to the kind of use she does!! Would love to dream over her book awhile. I love Jane's fabrics, but I would have never thought to use them like the sneak peak you gave us. SOOOOO I guess I need to win this book! The quilts are truly mind blowing. Jane's work is humbling and inspiring at the same time. Amazing! They bring back memories of looking through the kaleidoscope and then turning it and seeing a different design. Wow, that looks amazing. Thanks for the chance. I love the expression "personality prints'" It so captures Jane's fabrics. This is such good timing--I have these lovely large-scale hawaiian prints that I don't know how to use. They are too beautiful to cut into small pieces. Thanks for the review and giveaway! Thanks for an opportunity to have this great new book! Always good to learn something new! Oh pick me, pick me! I have loads of those big prints that I don't know what to do with. That's amazing! Lovely pattern. Thanks for the giveaway! This must be magic - I want to learn the spell!! What great ideas. I'd love to try them. Jane is amazing. I love her work. I'd love to learn how to do her kind of magic. Thanks for the review and sneak peek. Wow! Wow! Wow! Those quilts are stunning! Amazing what clever cutting will do! So beautiful! Would love to make something in that style. Looks like a good one. Throw me in he mix too. Thank you. that book is already on my wish list! I just love these colorful quilts. Thanks for the opportunity to win a copy of these motivating new book. I would love to learn more about Jane. Pick me. 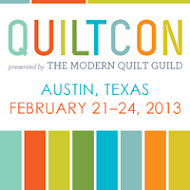 I like this book tour because it takes me to many new quilting websites (like yours) that I have never seen. I really enjoyed your site and will return again to look at more of the tutorials. I hope I win Jane's book. Absolutely amazing designs!I would like to venture out into more of this type of creativity. Would love to try Jane's "Magic"! Thanks for a chance to win her book. 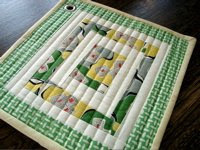 I've loved Jane ever since I first saw her Willow quilt oh so many years ago. Would love to dive into this book. wow, what beautiful quilts! i would love to give her techniques a try. Thanks for introducing me to Jane's work. It does look like wonderful magic. As an ex-chef, I appreciate the sentiment about recipes, now if only I could create the same magic with fabric as I can with food! Thank you for the giveaway, it looks like a really lovely book. thak you for yet another chance to have the new book by Jane . now if i can just read the words of the non robot me! They are really beautiful!!!! Thanks for a chance at winning one of these great books!!!! Thanks for the introduction. Now I want to see the rest. Lovely amazing designs! Thanks for a chance to win the book. Wow, I have always loved Jane Sassman's fabrics and her quilts. 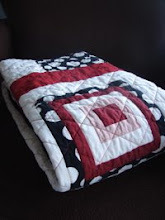 How awesome to be able to learn to make these quilts. Thanks for sponsoring this great book giveaway. The quilts you showed from the book are wonderful. They inspire me. Oh how awesome! I'd love to own that book! I can't wait to see this book! I love Jane's ideas. I love Jane's Fabrics, thanks for a chance to win her book. My jaw dropped looking at those pictures. They're amazing. Makes me want to go home and sew! 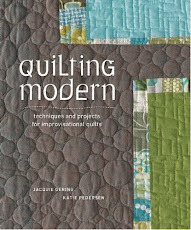 I really like Janes quilts and am thrilled to see she has a new book out. I can't wait to see it! Thank you for the chance to enter this giveaway for Jane Sassaman's new book. It would be great to win a copy and learn about her success in piecing quilts with large prints. Gorgeous quilts. Thanks for the chance to win this book. The blocks look magical. Thanks for sharing the opportunity to learn about the magic. oh, are just amazing photos. I wonder how she does it too. thanks for a chance to win the book. 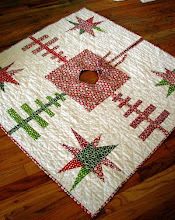 Oh wow - I would have looked at those quilts and thought it was beyond my skill, but that piecing is certainly doable! Amazing! This looks absolutely amazing. And I have a ton of those personality prints! What gorgeous quilts! Thank you for the chance to win this book. I love Jane Sassaman's fabrics. I'm really looking forward to seeing her book. Loving all of Jane's work. I have a lot of Jane's fabrics. Great review of her book, Jacquie! Wonderful photos of the pages. Can't wait to get my hands on the is book ! thanks for the chance to win ! Such an amazing designer, I would love to win a copy of this book! Thanks for the chance! I've been a fan of Jane Sassaman for many years, and can't wait to get a look at her new book! Prior to your review I would have probably passed on this book thinking that the designs would be too complex for me! I will be following and hoping to win! Thanks! I would love to give these beautiful patterns a try. Jane's book looks wonderful. I'd love to win a copy. I am so amazed by those beautiful blocks! It looks like fussy cutting may be involved, but I'd love to learn. From one Jane to another: beautiful work! Jane Sassaman's quilts remind me of what quilts look like in dreams--resembling the real thing but so incredible as to be "not of this world". Thank you for being part of this blog hop. I love Jane's work. Thanks for the opportunity! I have been a Sassaman fasn forever. I have some fabric sitting in the stash waiting for the book! Can't wait to read it. I would loev the be the keeper of such an inspiring book. I've already been introduced to her fabric, love to meet her book! Oh my goodness! Such beautiful blocks with such a traditional pattern. I'm anxious to see this book! 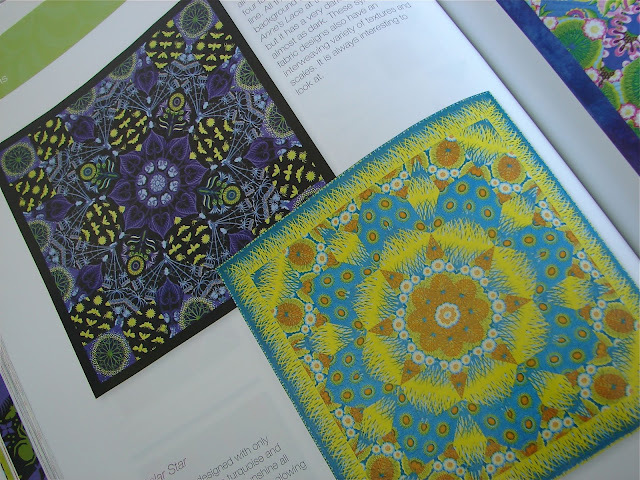 I love how the kaleidoscope look of these quilts--really amazing! I think this would really take me out of my comfort zone because I've never tried anything like this. I love it! Thanks for the chance to win! This book looks amazing. I use a lot of large scale prints but never like what I see here. Would love to win. Fantastic way of looking at and piecing exciting fabrics. I look forward to getting a copy. Thanks for a chance to win. Amazing!!! They look absolutely fantastic, and good thing is Jane Sassaman is letting us know how to do it! Thanks for sharing the secret! I would love to be introduced to the magic of Jane Sassaman! Thank you offering this opportunity. Looks like a beautiful book, thanks for the giveaway! These quilts are awesome! Thanks for the chance to win. 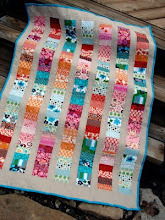 I love Jane's fabric and would love to win the book. Thanks for a great giveaway!! I would LOVE to win this book! I'm just getting in to quilting and have already found myself collecting mostly personality prints in my stash. Thanks for getting the word out that you really can do quilts like this. I think this is a book that I really need. These quilts are stunning! Thanks for the chance to win the book! These quilts are beautiful. They look like Mandalas! I am very much an admirer of Jane's fabric and would love to have her book. Lovely! The pictures are so inspiring! I hope I am not too late! I would love to win this book! I love big prints but the challenge is how to use them! I have quite a few cuts sitting on my shelf and would love to win Jane Sassaman's book for patterns for them. Thanks for the chance. I would love to win this great-looking book! The quilts are stunning! I would love to own this book! Would love to win this book -- have admired Jane's work for years. What interesting and gorgeous designs! Thanks for sharing.